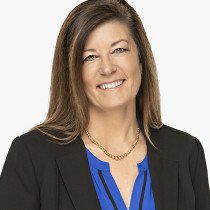 Brooke moved to Manhattan in 1985 to attend Kansas State University, graduated with a Bachelors degree in Education, and began teaching in the Manhattan School District. While solidifying her career as an educator, earning a Masters degree in Educational Leadership and Administration from K-State, she and her husband Jim raised three amazing children, started a house rental business, and remodeled and refurbish homes. It is through Brooke’s long-standing roots in Manhattan and involvement in many aspects of the community for the past 33 years that she has expanded her knowledge of and developed relationships with people, organizations and businesses in Manhattan and the surrounding area…key experiences that have provided her with the valuable skills to use in real estate transactions, educating home buyers and sellers, and effectively marketing the teams listings. Most importantly, Brooke believes that making personal connections and building relationships with her clients helps her fully understand their real estate goals. The trust and honesty that is created with her true connection is what makes the home buying and selling process successful and fun! Brooke has worked with both Christy and Stacey for many years on several real estate projects, and has always admired our company’s integrity, honesty, and high standards. This is why she chose to join Team Hallmark Homes! No Featured Property Found Under Agent Brooke Blanck – bablanck@gmail.com.